Ames Stereo Pipeline 2.1 Released! Hooray! New software for the masses! This release includes a bunch of bug fixes plus a few new features. Most importantly we’ve added support for a generic satellite camera model called the RPC model. RPCs are just big polynomials that map geodetic coordinates to image coordinates but most importantly just about every commercial satellite company ships an RPC with their imagery. 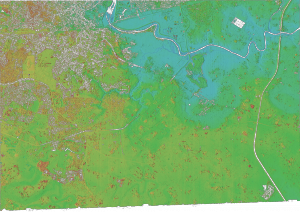 This allows Ames Stereo Pipeline to process imagery from new sources that we haven’t previously been able to work with like GeoEye. 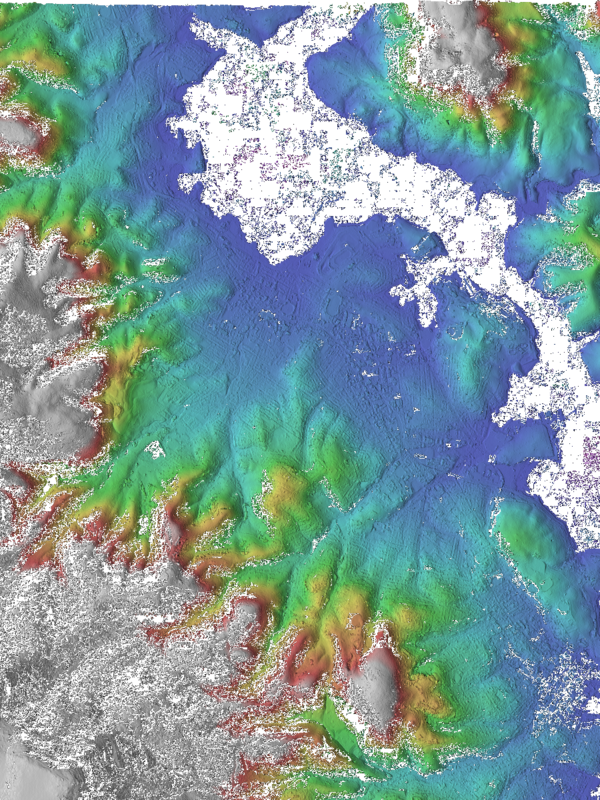 The picture on right is an example shaded colorized elevation model of the city Hobart in Australia. That image was created from example stereo imagery provided from GeoEye’s website and represents a difficult stereo pair for us to process. 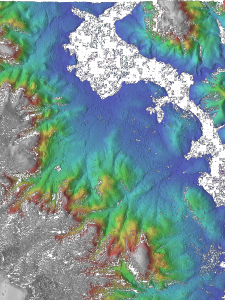 On the northeast corner of the image is a bunch of salt and pepper noise, which represents the water of the bay that we couldn’t correlate into 3D. In the southwest are mountains that have a dense forest with a texture that changes rapidly with viewing angle. Despite these problems you can see that our software was able to extract roads and buildings to some degree. This is interesting primarily because we wrote the software to work primarily on bare rock found on the Moon or Mars. Slowly we are improving so that we can support all kinds of terrain. 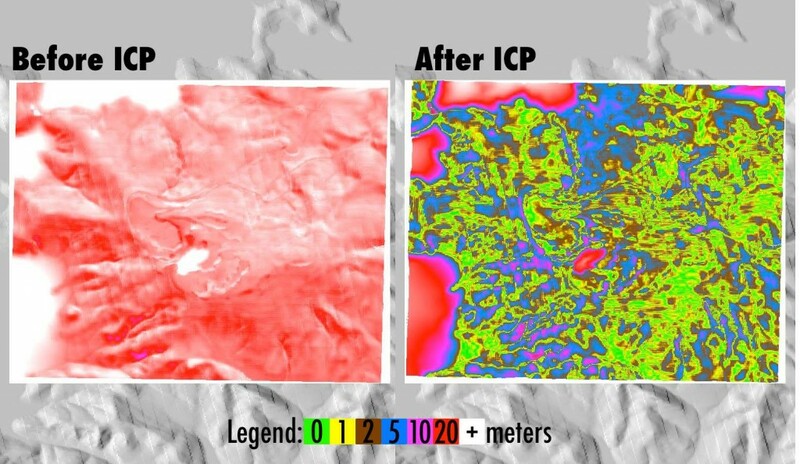 For now, we recommend that our users apply ASP to imagery of bare rock, grasslands, snow, and ice for best results. Also interesting is this colorized elevation model of Lucknow India created with Digital Globe sample imagery. The red patches are actually trees! Both of these stereo pairs are discussed as examples in our documentation. This means you can reproduce this work on your computer too! I’ve been working on Ames Stereo Pipeline for about 4 years now. 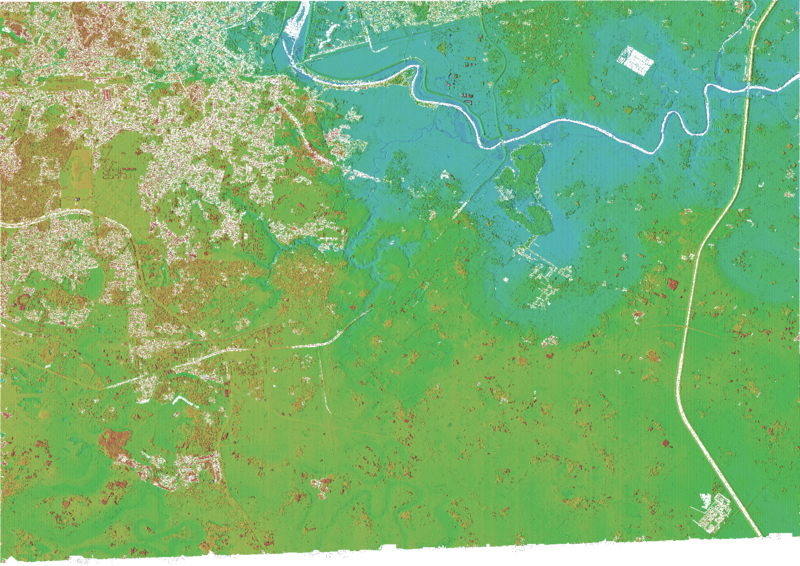 During that time the developers and I have always been focusing on what we could do with data that has come from NASA satellites. 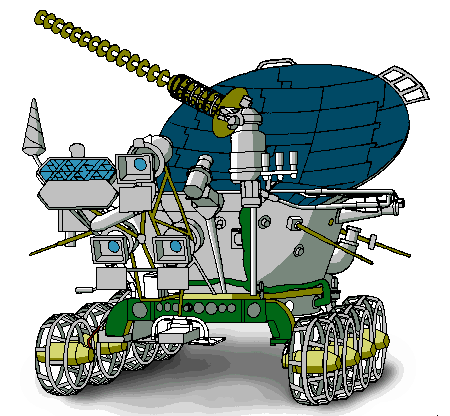 So we’ve produce 3D models of the Moon, Mars, and of the moons of Saturn. 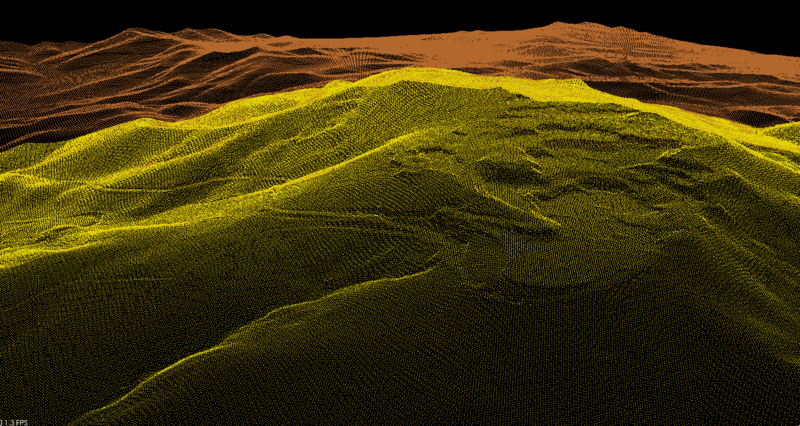 Recent work however has allowed us to produce 3D models of data much closer to home. In the next ASP release, I’m happy to announce that we will be providing limited support for processing images from Digital Globe satellites. Digital Globe sells images of Earth via World View and Quick Bird satellites. Their imagery is commonly seen in the base layer of Google Earth. 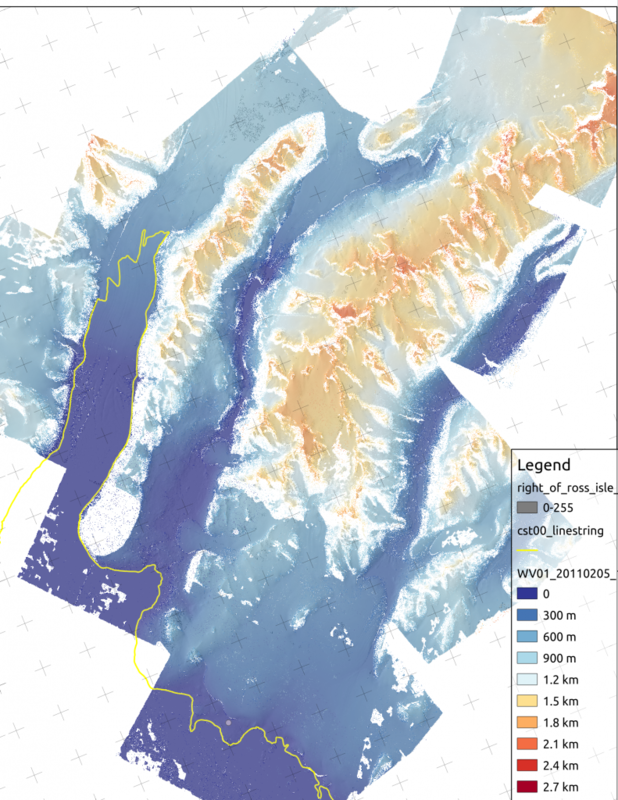 ASP was recently awarded a grant to add support for those images to allow mapping of Earth’s polar regions. Just last week I was able to produce ASP’s first 3D model of Earth using World View data. 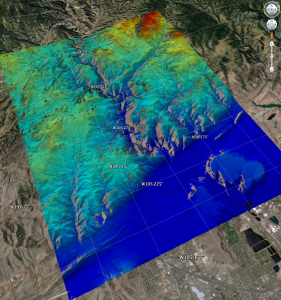 The image is a screenshot of the colormap DEM output draped in Google Earth. The area is just west of Denver in the Rockies and the imagery represented a huge challenge for ASP. There were lots of trees that make template correlation difficult. The mountains also made for a massive search range, which allowed outliers to make their way into the final result. Even though, we were still able to produce a result. I’m very proud of this result as it leaves me with confidence that ASP will do well in the polar regions where the terrain is not as aggressive.